Combine 1/4C Tuscan Verde Seasoning with 2 Tablespoons olive oil to make a paste. Add more seasoning and oil depending on the size of your bird. Using your fingertips, gently lift up the skin of the breast and legs and spread and Rub herb mixture evenly underneath skin. Carefully replace skin. Rub oil on the skin of the chicken and sprinkle with additional Tuscan Verde Seasoning. 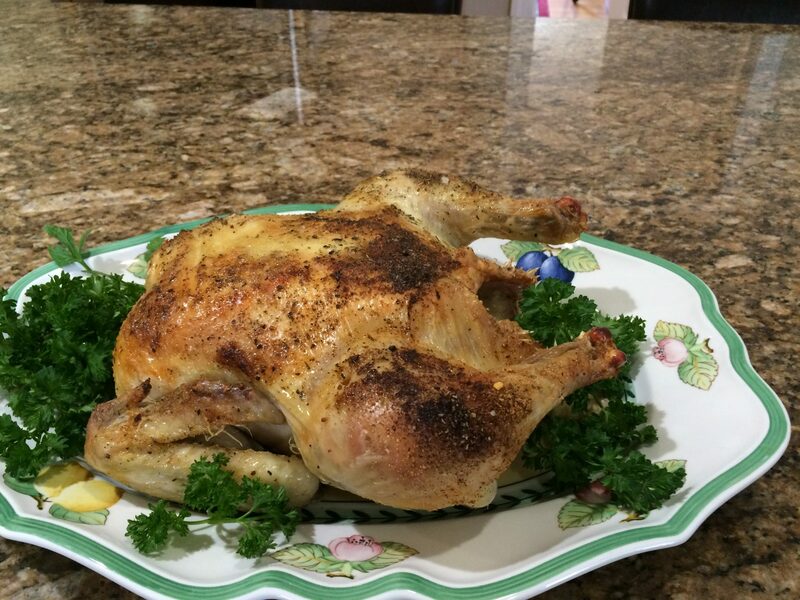 To make sure your bird is moist, try placing l a lemon, garlic and additional fresh herbs in the cavity of the bird. Don’t forget to add water or broth to keep the chicken moist while cooking.